King Solomon (“Shlomo Hamelech” in Hebrew) was the third king of Israel. He was the son of King David and Bathsheba. He ruled Israel for forty years, ushering in an era of peace and prosperity for his people. He is famous for building the First Holy Temple in Jerusalem. His story is told primarily in 1 Kings (1-11). 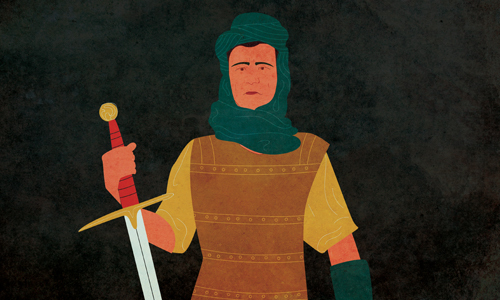 Solomon’s battle for the crown began even prior to his father David’s passing. David had promised Solomon’s mother, Bathsheba, that Solomon would be the royal heir after he passed away. However, as David became old and frail, another son, Adonijah, conspired to claim the throne. He gathered Joab and Abiathar, two important figures on the political scene, and announced that he would be the king following his father’s death. He invited many guests and threw a lavish feast to celebrate, sure that David would not rebuke him, as David had spoiled him his entire life. Nathan the Prophet heard that Adonijah was attempting to capture the throne. He relayed the news to Bathsheba and urged her to intercede with King David. Bathsheba went straight to King David, determined to have her son, Solomon, appointed as the next king. Along with the prophet Nathan, she reminded him of his promise to her that her son, Solomon, would be king. David was true to his word. He instructed the prophet Nathan to take the priest Zadok and formally anoint Solomon as king. Solomon rode on his father’s mule2 to Gichon. There, Nathan anointed Solomon with the special oil that Moses had made in the desert after the Exodus, which was traditionally used to anoint kings.3 Trumpets were blown, and all those gathered there proclaimed, “Long live King Solomon.” The formal anointment and vocal public support quashed Adonijah’s hopes and support. Although Adonijah had openly rebelled against him, Solomon pardoned him for that. Familial peace was restored until Adonijah again tried to make a move for the crown by attempting to marry David’s widow, Avishag. For that, the newly crowned Solomon had him killed in a decisive early move of his kingship. Since he was only twelve years old when he ascended to the throne, Solomon was understandably worried about his ability to rule effectively. He decided to ask G‑d for help. He traveled to Gibeon and offered up sacrifices. G‑d appeared to him and asked what he wanted. 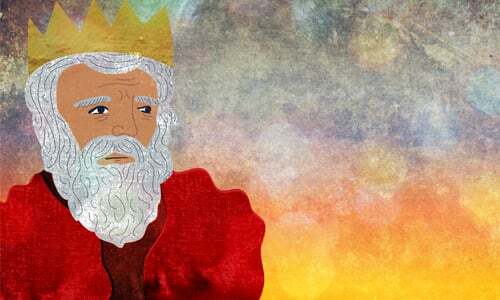 King Solomon requested that he be granted the wisdom to rule effectively. G‑d was very pleased that Solomon had asked for wisdom, as opposed to wealth or the like. G‑d granted his request. He became famous for his wisdom and knowledge. With his legendary wisdom, Solomon had control over demons4 and could speak the language of animals5. He was a masterful songwriter and composer of parables and proverbs. He was also an expert on botany and zoology. His renown spread the world over. G‑d also blessed him with the wealth he had not requested, along with long life6. 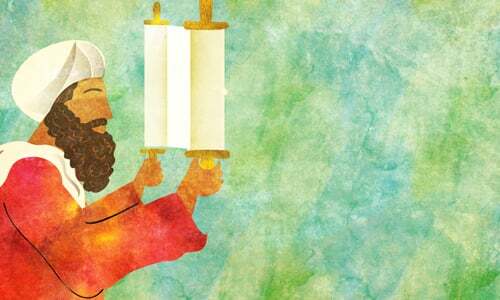 Read More: Is Messiah a Descendant of King Solomon? Two women came to Solomon for judgement. They explained that each had birthed a child around the same time. One night, one of the children died in his sleep. Each mother claimed that the child who had died belonged to the other mother. It was impossible to tell which child belonged to which mother. Hearing the story, Solomon ruled that the child who was still alive should be cut in half, and each mother would receive a piece. Upon hearing that ruling, one of the mothers burst into uncontrollable sobs. She begged that the child be given to the other woman rather than be cut in half. Solomon immediately awarded the child to that woman. He knew that only the true mother would have reacted selflessly, willing to give up her child rather than see him hurt7. Read More: Who’s the Thief? Solomon’s reign was a golden age for the nation of Israel. They were respected by their neighbors, residing in peace for the entirety of Solomon’s kingship. It was also a good time economically, with many nations bringing Solomon tribute and commerce. Solomon married the daughter of the Pharaoh in Egypt to cement his rule. He continued making treaties with all the countries around him, ensuring that his rule would be marked by peace, not war. 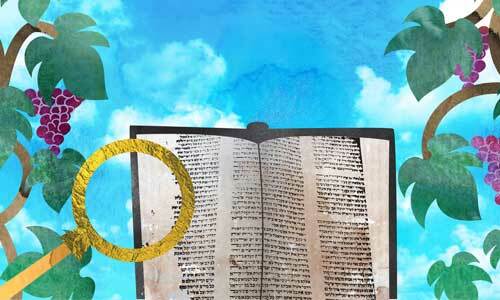 Read More: Did Solomon Marry Out? Once Solomon felt that his kingship was firmly established, he set out to complete the project that his father David had begun: the building of the Holy Temple, a home for G‑d. The first step he took was enlisting Hiram, the King of Tyre, who had been a friend of King David. Hiram had access to the cedar trees that Solomon needed. Solomon hired him to cut the cedars and send them to him so that Solomon could use them to build the Temple. Hiram was very pleased with the offer and agreed to it. Once the cedar was taken care of, the stone needed to be quarried. For that, Solomon conscripted men from his own nation. He sent thousands of men to the quarries in the north of Israel, along with many more thousands of porters to transport the stones back to Jerusalem. In the fourth year of Solomon’s reign, construction on the Temple actually began. Finished stones and beams were imported, so that no axes or other metal instruments were wielded on the Temple Mount. The Temple, a building of peace, could have no implements of war used on site to build it. Solomon built the Temple out of stone, paneled in cedar wood, and covered in gold. Construction of the temple took seven years. Once completed, it was a magnificent structure, renowned worldwide8. The construction of the Temple was completed in the month of Cheshvan, the eighth month from Nissan9. King Solomon prepared for the dedication ceremony for a full eleven months. It was held in the seventh month, Tishrei. It took that long to get ready for the massive celebration that was to take place10. Everyone was there. The entirety of the Jewish people came to Jerusalem to see and celebrate. The first step was to bring the Ark from where it was resting, in the City of David, to the Temple. The priests carried the Ark on their shoulders, while Solomon and the elders offered up oxen and sheep in sacrifice to G‑d every few steps of the way. They brought the Ark into the Holy of Holies and placed it underneath the Cherubim’s wings. The poles of the Ark pressed against the curtain of the Holy of Holies, creating protrusions that could be seen from the other side. Once they did that, the room filled with a cloud. The spirit of G‑d had come to rest. King Solomon stood up and prayed to G‑d. He prayed that the Temple that he had built would be a place where prayers would be heard. He prayed that it would be a place where the Jews could come to supplicate G‑d when He was angry with them. He prayed that it would be a place where G‑d’s glory would be revealed to the entire world. And He prayed that G‑d would be forgiving to His people. When Solomon finished praying to G‑d, he blessed the Jewish nation that G‑d should grant them the wherewithal to follow His commandments and connect to Him all their days. After that, he slaughtered a lot sheep and oxen. A lot of sheep and oxen. As in, 21,000 oxen and 120,000 sheep. Everyone ate very well that night. There were so many animals that needed to be slaughtered that Solomon actually sanctified the floor of the courtyard of the Temple11, so that there would be more space for offering up the animals to accommodate the sheer volume of sacrifices. The Jews throughout the entire land of Israel celebrated and feasted for fourteen straight days. The first seven days, from the seventh of Tishrei until the fourteenth were dedicated completely to the celebration of the Temple’s inauguration. It turns out that the Jews ate and drank on Yom Kippur that year, which falls out on the tenth of Tishrei12. The next seven days were actually the holiday of Sukkot. On the eighth day, the day after Sukkot, the twenty-third of Tishrei13, Solomon sent all the Jews home. A heavenly voice emanated from on high and said, “all of you are prepared for a share in the World to Come.” This reassured the people that they had made the right choice in not fasting on Yom Kippur in celebration of the Temple14. G‑d then appeared to Solomon and made a pact. If Solomon would follow in G‑d’s path, then the Kingdom of Solomon would endure forever, with one of Solomon’s descendants constantly on the throne. But, if he strayed from G‑d’s path, then the Temple would be destroyed. 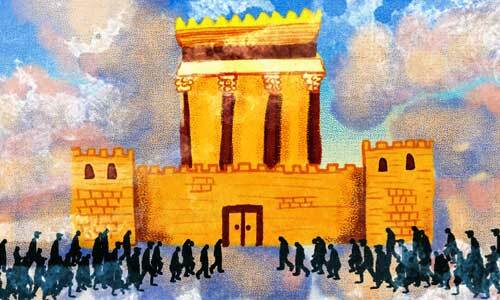 Read More: Why Haven’t Jews Rebuilt the Temple Yet? Solomon spent thirteen years constructing his own palace. He began the project after he completed the Temple. It was called the Lebanon Forest Palace and was built just outside of Jerusalem15. Solomon brought down a coppersmith, Hiram16 to work on it. It was a grand building as well, made from smoothly hewn stones, large cedar panels, and intricate copper inlays. King Solomon built a magnificent throne for himself, which he housed in his Lebanon Forest Palace. It had six steps, each with a sculpture of two different animals, one on each side. . It was fashioned from ivory coated in gold18. King Solomon’s throne was eventually captured by the Babylonians during the destruction of the Temple, and then subsequently by the Persians when they conquered the Babylonians. It was taken to the capital of Persia, Shushan. A replica was made there for King Ahasuerus. The Pharaoh of Egypt conquered the city of Gezer19, burned it to the ground, and then gifted it to his daughter, the wife of King Solomon. Solomon rebuilt the city and settled it. He also built up the cities of Tadmor, a city north of Damascus20, Baalath, and Beth Horon. The nations surrounding the land of Israel were subservient to King Solomon. They would send levies of forced labor to assist in Solomon’s building projects in addition to taxes. There were enough levies that none of the Jewish people needed to be conscripted. Solomon collected 666 talents of gold per year in tributes and profits21. The Queen of Sheba22 heard of the greatness and wisdom of Solomon. The stories that she heard intrigued her enough that she came personally to visit. She brought camels and caravans full of spices and gold, along with many precious stones as gifts. She was accompanied by a huge retinue of servants. On top of that, she brought riddles and questions to determine the extent of Solomon’s wisdom and see if the rumors about him were true. Solomon exceeded expectations. Every riddle or question she posed was thoroughly solved or answered. She was very impressed with the order and pomp displayed in Solomon’s court, along with the volume and nutrition23 of the food served. Solomon hosted her well, giving her anything she asked for24. Satisfied with her visit, the Queen of Sheba complimented King Solomon, blessed G‑d who had appointed Solomon king25, and gave him one hundred and twenty talents of silver. With that, she returned to her country26. King Solomon, as we mentioned, ruled in grandiose style and did not do small. This was especially true in the case of his wives. In addition to the daughter of Pharaoh, he married many, many women from the Moabite, Ammonite, Edomite, Zidionite, and Hittite nations. He had seven hundred royal wives and three hundred concubines. Although his marriage to these women did cement certain political relationships, they eventually led to his downfall. As he got older, his wives began to turn his heart away from G‑d. Although he did not personally indulge in idol worship27, he was tolerant of its practice in a way that King David never would have been. Solomon allowed his wives to worship the gods of their original countries, although they had already converted to Judaism. He even turned a blind eye to the fact that they built temples to idols such as Chemosh and Molech. This angered G‑d greatly. He had shown Solomon G‑dly revelation twice, and that still had not been enough to ensure that Solomon would stay on the straight and narrow path of G‑dly worship. The punishment for this was that the kingship of Solomon would be torn asunder during the reign of Solomon’s son, Rehoboam28. 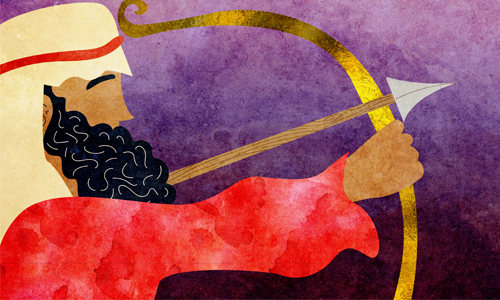 In response to his misdemeanors, G‑d set up three enemies for Solomon. One was Haddad the Edomite. He had survived the wars of David against his country and harbored a grudge against David and his children. He moved to Egypt, married a daughter of the Pharaoh, and eventually returned to Edom. There, he was an enemy of Solomon throughout his reign. The second was Rezon the son of Eliada29. He had also been a victim of King David’s wars. He ruled in Damascus and opposed King Solomon. The third was Jeroboam. He was a young man that Solomon had assessed as very capable and smart. Solomon appointed him as his servant. Jeroboam publicly rebuked Solomon for preventing the Jewish People from coming to the Temple30. While rebuking the king was a good thing, doing it in public was not. Nevertheless, G‑d sent Jeroboam a message through the prophet Achiya that eventually, the kingdom of Solomon would split, and Jeroboam would rule one part of it. Solomon attempted to have Jeroboam executed, but he fled to Egypt and lived there until after Solomon’s death31. After forty years of rule, Solomon passed away and was buried with his father in the City of David. His son Rehoboam ruled in his stead32. Many of the tribes refused to accept Rehoboam as king, resulting in the land of Israel splitting into two distinct kingdoms, with the kingdom of Judah in the south and the kingdom of Israel in the north. The divide would last until the destruction of the Temple, hundreds of years later. Solomon authored three books of the Bible: Proverbs, Song of Songs, and Ecclesiastes. Proverbs (Mishlei in Hebrew) is, as its name suggests, a collection of proverbs and sayings They are wide ranging, enigmatic, and poetic. The Song of Songs (Shir Hashirim) is a love song that tells the story of the love between a young man and woman. However, that is only its surface. Hidden just underneath the simple meaning of the words is a wealth of deep wisdom regarding the relationship between the Jews and G‑d. Ecclesiastes (Kohelet) is a book of philosophy. It encapsulates Solomon’s outlook on the world and on life in general. There are two traditions about when Solomon wrote these books. Some say he wrote them all at the end of his life. Others, however, believe that he wrote the Song of Songs when he was young, Proverbs during his middle age, and Ecclesiastes when he was older33. Solomon was, in many ways, the diametric opposite of his father David. David was a fighter. He attained power and recognition for himself and his nation through endless war. He struggled with evil, and it stained him. Therefore, he was not permitted by G‑d to build the Temple. Solomon was the opposite. He did not fight with the enemy. His renown and splendor automatically dissipated any resistance toward him. Since he lived in an era of peace, and his hands were clean, he was chosen to build the Temple. To the Chassidic masters, David and Solomon symbolize the two systems that are utilized in our personal battles with our evil inclinations. David fought the adversary. He focused on it and drove it away. It was active war. Solomon focused on good and light, and the enemy disappeared automatically like fog in the sunlight; a passive war. The Rebbe taught that the appropriate style for battling darkness our times is the method of Solomon. Focus on good and light, and darkness will disappear on its own34. Solomon’s wisdom is summed up in the Bible by this cryptic statement: “He composed three thousand parables”35. 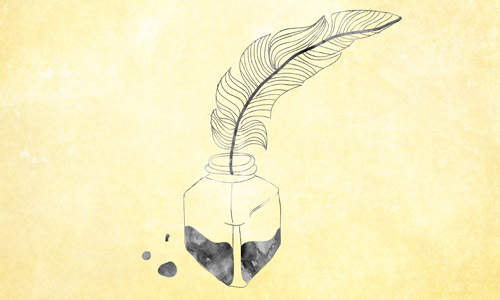 Examined under the lens of Chassidic thought, the idea of a parable takes on a new meaning and provides insight into the uniqueness of King Solomon. Each aspect of the Torah can be understood in a variety of ways. In this physical world, it takes on one meaning. To the souls studying it in the Garden of Eden, it is approached in an entirely different way. At each level, the Torah is understood differently, such that the lower realms of understanding can be said to be only “parables” when compared to the deeper knowledge of higher spiritual realms. Though we engage in the wisdom of the Torah, our understanding of it is more like a parable, and does not speak of the Torah’s essence. Solomon, however, “grasped three thousand parables.” That is to say that his level of understanding went well beyond our physical plane. Each “parable” represents a level of understanding the Torah that Solomon grasped and internalized36. 2 Samuel 12:24. Metzudat David. Riding on the mule of the king was a sign of kingship, since it was forbidden for a commoner to use the king’s horse. Rashi 1 Kings 1:33. Although oil is not necessary in the case of the coronation of an heir, here it was used to specifically show that Solomon, not Adonijah, was the rightful king. Radak 1 Kings 1:34. 1 Kings 8:64 with Rashi. Alternatively, he built an Altar of stone attached to the floor that was large enough to handle that many sacrifices. Not the same Hiram as mentioned previously. There is a debate about the location of the land of Sheba. The Abarbanel maintains that it was located in Yemen, while the Meam Loez and Josephus (Antiquities 8:158) write that Sheba was a country in Ethiopia. Certain Midrashic sources maintain that he cohabited with her and fathered a daughter. The Daath Soferim writes that her interactions with King Solomon convinced her to give up her idolatrous ways and become a monotheist. “Anyone who says that Solomon himself sinned is in error.” Talmud Shabbat 56b. Either through charging exorbitant taxes to go there, closing breaches in the walls to prevent pilgrims from entering en force, or actually locking the doors until Solomon woke up. See Rashi, Sanhedrin 101b. Radak 1 Kings 11:41. See also Midrash Shir Hashirim. Torah Ohr Maamar Chayav Inish Lebsumei.